Find out more about Brushtec’s unique disk brushes designed for use with machines that clean studded and ribbed rubber floors. Studded and ribbed floors are infamously difficult to clean as their surface is uneven and prone to dirt and grime build up. 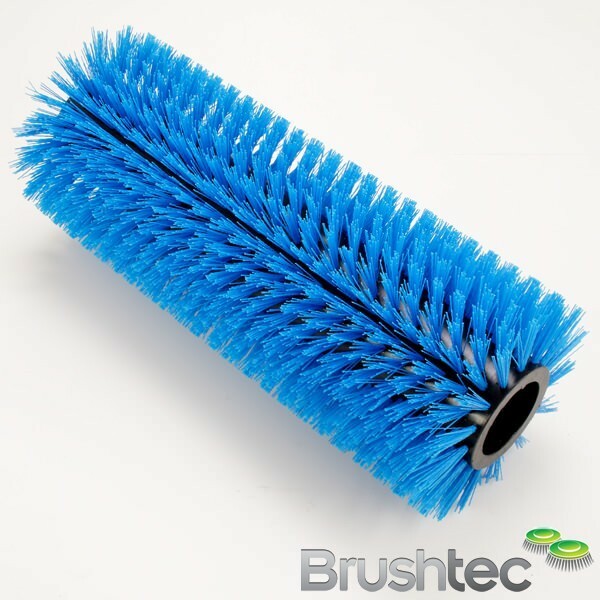 Brushtec’s special studded floor cleaning brushes have two different bristle lengths, allowing the upper and lower levels of a studded or ribbed floor to be cleaned at the same time. 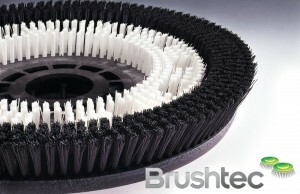 The centre of the disk has a stiff short trim, which cleans the top of the floor and supports the machine’s weight. 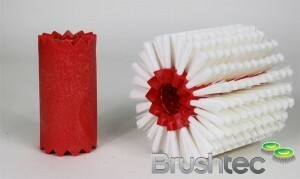 The outer brush rows are filled in a softer, longer monofilament that cleans in between the bottom of the grooves. For restoring the original colour of studded flooring, a special soft union fibre is used to burnish in between the studs, while a shorter stiff fibre buffs the top of the ribs. 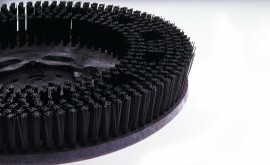 If you need something much tougher on dirt and grime, then check out our heavy industrial scrubbing disk brushes and our scarifying disk brushes.